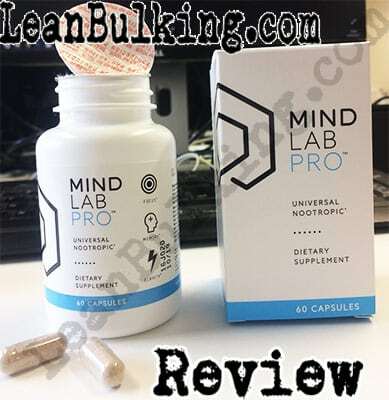 Mind Lab Pro is a nootropic supplement made by Opti Nutra. It costs $65 for 30 serving container, with a serving size of 2 capsules per day; but you can make use of their multi-box deals and receive 4 containers for $195, which saves you cash if you're looking to buy more than 1 (which is what we did). 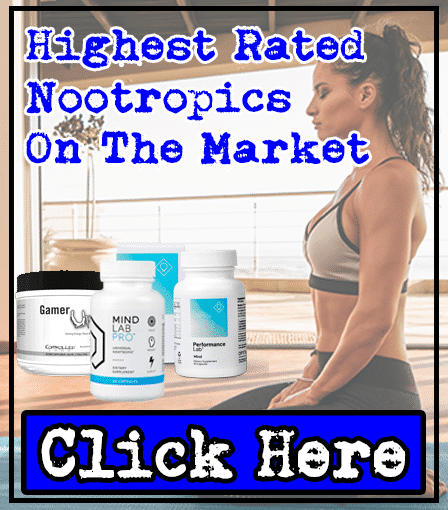 Nootropics are still quite a recent development in the supplements industry, but they're still easy to analyze and test, due to containing scientifically tested nutrients. 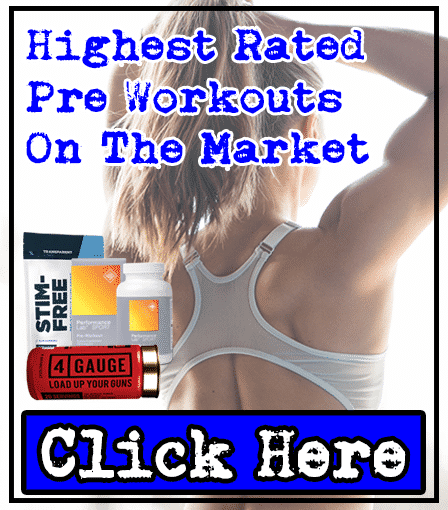 Not only that, we've discovered that Nootropics contain similar ingredients to pre-workout supplements (as they too offer enhanced focus, to strengthen what's known as the 'mind-muscle-connection' in the gym). We also didn't feel much pressure when buying this nootropic as it comes with a 30-day money-back guarantee with your first purchase. This was reassuring in case we didn't like the product or it caused some side effects. Anyway, we'll examine all the ingredients inside Mind Lab Pro and tell you about our personal experience with it, after learning more about who Opti Nutra is (the company behind Mind Lab Pro). This was the first time we'd heard of Opti Nutra, but we were impressed by their website; it was one of the most professional looking sites we've seen, which is refreshing after all the terrible ones we've seen in the past. Ultimately, we believe that a clinical website is a mark of a premium company that isn't afraid to pay for high-quality services and manufacturing processes. Simply put, if a company isn't prepared to pay for a premium-looking website (where they pride their whole company on), then we don't have a good opinion of them. So Opti Nutra ticks the boxes here. From what we could see, Mind Lab Pro is their only product - so let's see whether the ingredients prove it's worth the asking price in the next section. Mind Lab Pro contains 9 main ingredients, which is a good number to have in a supplement. Most importantly, it doesn't contain any proprietary blends - so you can see the exact dosages of each ingredient inside. Ultimately, this means you'll know whether a supplement is likely to cause any side effects, and also how effective it will be. 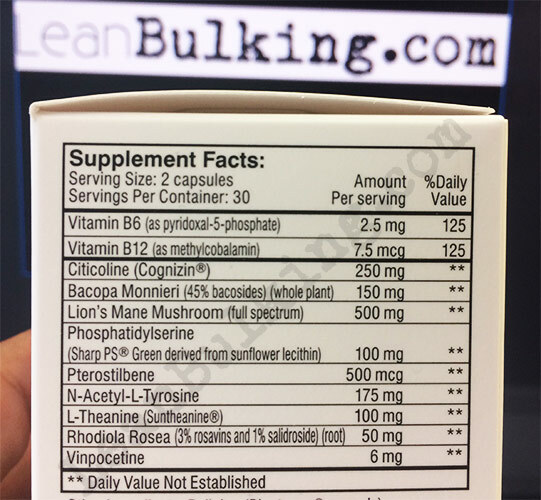 From first glance, we like what we see on Mind Lab Pro's ingredient list. 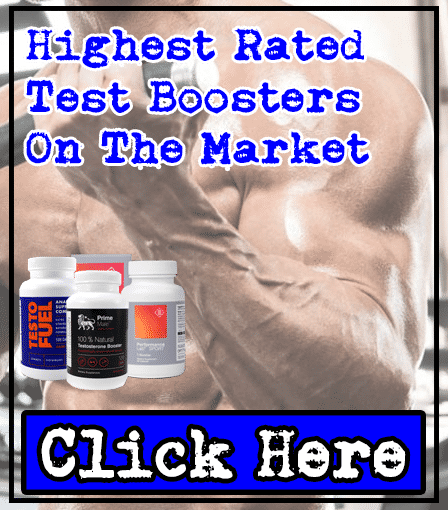 It contains numerous key nootropic ingredients that are proven to boost your cognition (which is exactly what you want when buying a nootropic). Anyway, we'll take you through each ingredient inside Mind Lab Pro. By the end of this review, you'll have a good idea of how safe and effective this nootropic really is (as well as our personal experience with it). Mind Lab Pro's nutrient profile. As you can see, the dosages of each ingredient is clearly listed for you to see. Also known as CDP-Choline, it's shown to benefit your memory and focus, as well as being capable of reducing cognitive decline; these are key reasons why you'd buy a nootropic supplement for, making it a key ingredient inside Mind Lab Pro. It hasn't been reported to cause any side effects either, so it's both safe and effective. Good start by Opti Nutra here. Bacopa Monnieri is a herb that's been used for centuries in traditional medicine to improve your mental function. Modern studies have confirmed that it works, finding that it can also reduce anxiety too. For this reason, we believe that this is another key nootropic ingredient in Mind Lab Pro. The slight issue is that it's been slightly under-dosed at 150mg - most studies have shown that it works best at dosages above 200mg. However, we still felt benefits from Mind Lab Pro, with other experts agreeing that this also works in lower dosages too - Bacopa Monnieri is believed to work really well when consumed with Rhodiola Rosea (which is also in this supplement - we'll expand on this below). Now, this is perhaps our number 1 favorite ingredient inside nootropic supplements; also known as Yamabushitake, it's shown to improve cognition in countless studies (as well as being able to reduce anxiety). You can't argue with the Japanese scientists that have conducted extensive research on this ingredient - and we experienced the benefits when taking Mind Lab Pro ourselves. Credit where credit is due and Opti Nutra has shown they've done their research here. Phosphatidylserine is a bit of a mouthful to say out loud, but this is a great ingredient to consume. Scientists have found this to be present inside your brain and it's vital for human cognitive function - and higher levels of phosphatidylserine means you perform better. Simply put, consuming this ingredient in supplements increases the amount you have in your brain; this allows your brain to function better, with enhanced memory, focus, and attention span. Again, you can't argue with the science behind this one. We'll be honest with you here - Pterostilbene is probably the worst ingredient inside Mind Lab Pro. There have been a few studies showing that it improves your cognition - but not enough to make it as reliable as the other ingredients in this nootropic supplement. For this reason, it isn't a key nootropic ingredient - but it doesn't cause any side effects. meaning there's no harm to having this in here either. 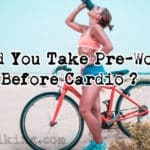 This is a common ingredient inside pre-workout supplements as it's shown to improve your focus in the gym (strengthening your mind-muscle-connection). We always say that it's not needed when there's caffeine involved (as it offers the same benefit). As there is no Caffeine in Mind Lab Pro, we consider L-Tyrosine to be a great addition to Mind Lab Pro. Just to clarify, we believe nootropics don't need Caffeine - if we're taking this at work, then we don't like having to miss out on our coffee (it's a ritual in our office - black coffee with no sugar). The issue with nootropics containing Caffeine is that it can push you over the edge and cause jitters when consumed alongside coffee or tea. For this reason, we're happy that Mind Lab Pro contains L-Tyrosine instead of Caffeine. We were able to enjoy our morning coffee as usual, which is definitely a bonus! L-Theanine is a great ingredient in both pre-workouts and nootropics; it's a relaxing agent that's shown to help you feel focused and calm - even in stressful situations such at work or during exams etc. It's found in high amounts in green tea, which is why you usually feel calmer when drinking green tea than you do with coffee. But the good thing is that when you consume L-Theanine in supplements, you'll feel calmer when drinking coffee too - avoiding jitters early in the morning, which is great for us! For this reason, L-Theanine has quickly become one of our favorite ingredients to have. This herb has proven to reduce anxiety levels and enhance your cognitive function in numerous studies. We mentioned that Lion's Mane Mushroom goes well with Rhodiola Rosea. Well, here's why: it's benefits are heightened when consumed with other effective ingredients (such as the ones in Mind Lab Pro). We tried most of these ingredients individually, but we didn't experience the same benefits as we did with this supplement - so we know it works. It's things like this that really impressed us with Mind Lab Pro. Opti Nutra has clearly spent tons of cash conducting research formulating this nootropic. This is a compound from the periwinkle plant that's shown to have a positive effect on your mental function. However, again we won't bullsh*t you here: 6mg of any ingredient won't do much to benefit you, and it's no different here. For this reason, Vinpocetine isn't a key ingredient inside Mind Lab Pro - but it also doesn't cause any side effects, so there are no negatives to having this in here either. Here's the part where we tell you about our personal experience when taking Mind Lab Pro. 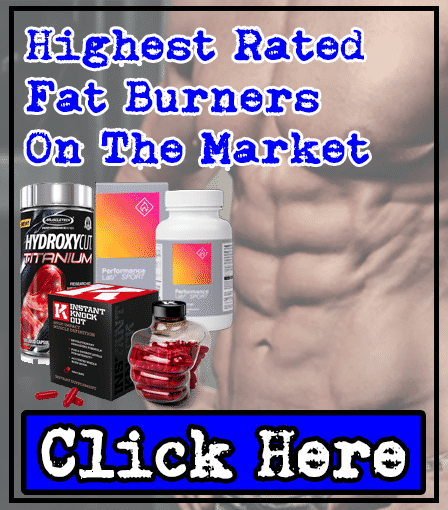 Well, as we mentioned, we prefer testosterone boosters, fat burners and pre-workouts (these are where are true passion lies, and we've worked with them for many years). However, we still know a lot about the ingredients in nootropic supplements too. 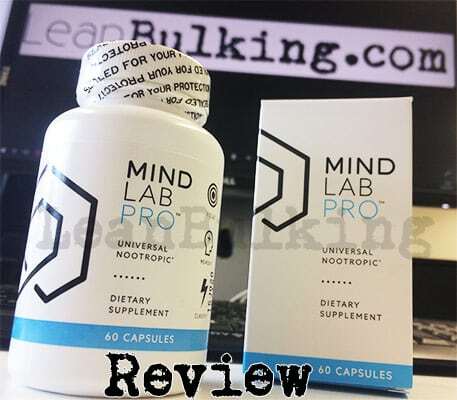 After our readers asked us to find and review the best nootropics on the market, we tested numerous products and Mind Lab Pro came out on top - in fact, it was one of the few nootropics that didn't cause any unwanted side effects. As we mentioned at the start, the 30-day money-back guarantee with your first order really helped settle any nerves we had; parting with your hard-earned cash is always scary, but knowing you can get your cash back if you don't like the product always takes the stress off buying, personally. In case you're interested, we bought the '3 Month Supply Deal' - and shared 4 boxes for less than $50 each (usually, each box costs $65). Simply put, yes it did work. However, I had very high hopes of becoming like the guy in the film 'Limitless'...well, don't expect to become the most intelligent person in the world. This is just like any other supplement; fat burners aren't miracle pills that work while you sit on the couch eating junk food. Nootropics are similar, in that they help you focus, but you have to be motivated to work hard and get the job done already. I took Mind Lab Pro for a month during work and I was able to concentrate on my work for longer. And I didn't get distracted as much as usual (as you can imagine, my boss is now a huge fan of Mind Lab Pro!). For the first few days, I thought that the increased cognitive function I experienced was due to a 'placebo' effect. However, it became more and more obvious that it was Mind Lab Pro doing the work during the 2nd and 3rd weeks. Basically, I felt that I was able to think of words quicker (instead of sitting there for a couple of minutes, before using an online dictionary or thesaurus, like I usually do...). Sometimes, it's these small things that you don't realize can be improved, that are the most significant; my writing flowed better and I was able to enjoy working more as I seemed to be performing better. By the end of the month, I realized that the improved mental function I was experiencing wasn't a placebo. Even better, I was glad that I even made it to a month - after trying numerous other nootropics that caused side effects, I was happy to be safe with Mind Lab Pro. As I've mentioned, don't expect this to be a miracle pill that turns you into Albert Einstein. It's a 100% natural supplement that contains ingredients so you can work to your potential, without causing any side effects. I recommend Mind Lab Pro for anyone with a high-intensity job who needs to be at the top of their game every day, without exception. For these people, Mind Lab Pro will help you think quicker and sharper - performing to the best of your abilities. What Other People Are Saying About Mind Lab Pro? Ultimately, it's always reassuring to know that others have had good experiences with the products we're interested in, so seeing a wide range of people - from base jumpers to a grand Chessmaster - is great to see. It's rare that we find a supplement that doesn't cause any side effects, but we were glad that we were safe for the whole duration with Mind Lab Pro. As we've mentioned, we took this nootropic for a month and felt good at all times - which was a relief, as most other nootropics we tried made us feel like sh*t.
Ultimately, Mind Lab Pro is the best nootropic supplement we've tried so far (we'll be constantly updating this, in case we find better products in the future). As of this year, we haven't found a better nootropic yet. But in all honesty, Nootropics are still quite a new addition to supplements, so there's not a great deal of choice out there. Also, we prefer hitting the gym and making muscle gains while staying lean. For this reason, we prefer gym supplements such as testosterone boosters, fat burners and pre-workouts. However, for those looking for a boost in cognitive performance, this will get the job done; even we were able to appreciate having better memory, focus and a longer attention span at work. Ultimately, Mind Lab Pro will be perfect for doctors, chessmasters or other professionals who require high concentration levels at all times (just check out the professionals who use this Nootropic in the video further up). Even if you're just wanting to think more clearly and sharper on a daily basis, it's worth giving a go. This stopped us looking at cat videos online and helped us to get more work done. My boss was very happy with my performance while on Mind Lab Pro – making my trial run a success. We’re giving Mind Lab Pro a 5 star rating, even if this nootropic didn’t turn me into Albert Einstein or Bill Gates. We’re slightly joking, but it’s important for you to remember that Mind Lab Pro isn’t a miracle pill – it will enhance your mental function, but won’t turn you into a genius. Can I take Brain Boost from BioScience Nutrition and / or Caffeine with L-Theanine whit Mind Lab Pro®. Hi Hayder, thanks for reaching out! You can indeed take the Caffeine and L-Theanine combo along with Mind Lab Pro 🙂 You can take Brain Boost too, but we believe that Mind Lab Pro is more than good enough on its own! Feel free to ask any more questions! Hey Davies, thanks for reaching out! It’s great that we were able to help you. If you ever have any recommendations for us, then let us know – we’re always looking for the next best thing! For now, though, Mind Lab Pro isn’t a bad option at all.